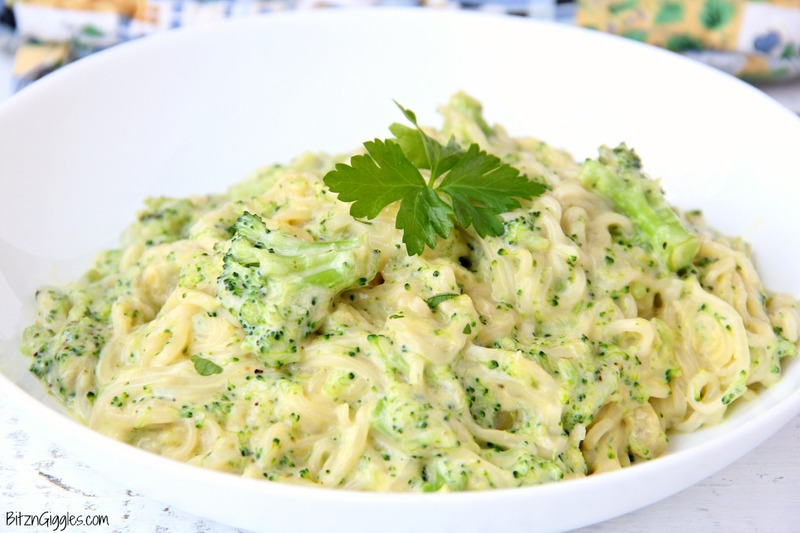 Creamy Cheddar & Broccoli Noodles – A deliciously creamy pasta side dish the whole family will love! 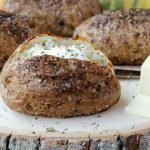 I’m always looking for easy side dishes, aren’t you, too? Once and awhile, instead of just roasting or steaming veggies, I like to throw them in with some noodles and cheese. 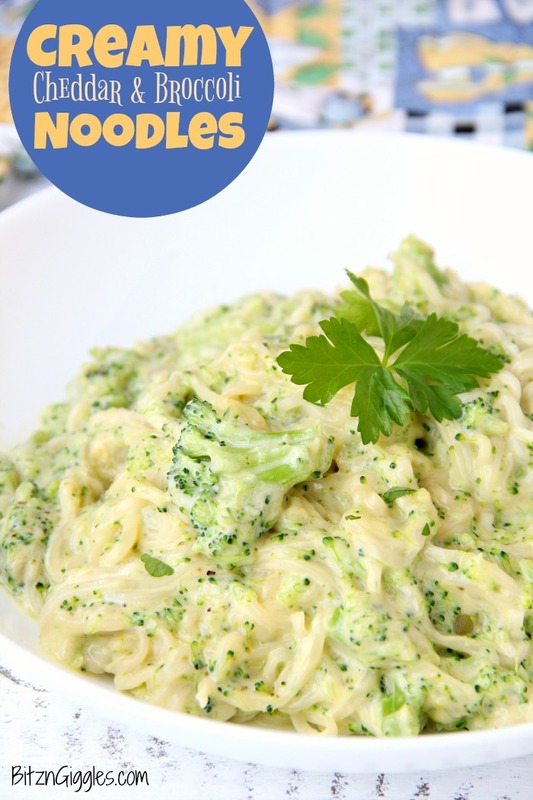 If you have a difficult time getting your kids to eat veggies, you might want to try these Cheddar & Broccoli Noodles. 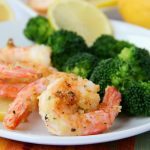 Heck, even if you’re just looking for a more exciting side dish, try this out! Alright, so here we go. You recognize those noodles, don’t you? Yep, they’re Ramen noodles. 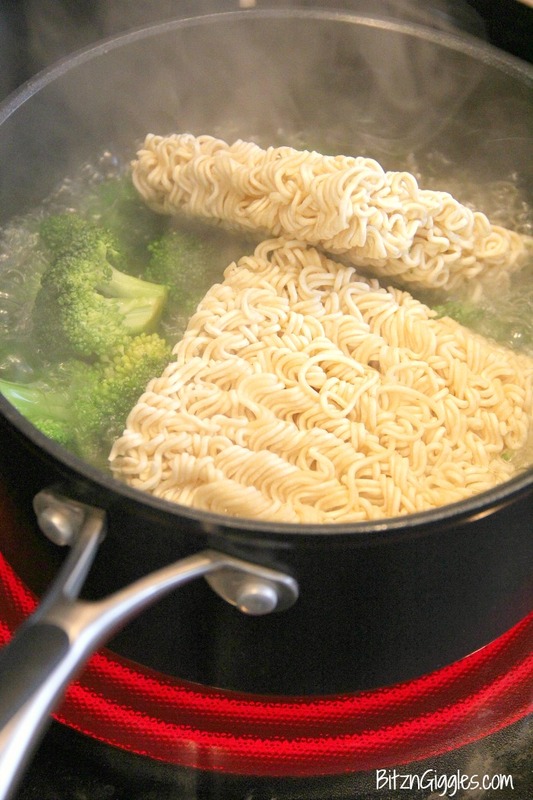 I ate these noodles all the time in college – they’re super easy to make in the microwave and a fast lunch for a busy student. Well, today we’re using them in a side dish. Whenever I make these noodles, it brings back lots of memories of my college days. I can almost smell my dorm room hall when everyone on my floor was making their lunch. We all made a lot of noodles and rice, and every day it was a potpourri of scents. Some days it smelled wonderful, other days. . .not so much. But let me tell you what. These noodles are delicious! 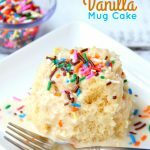 Just as delicious as my breadcrumb spaghetti! Cheesy soup and sour cream help make a thick and creamy sauce. If you’d like a thinner sauce, omit the sour cream and just don’t drain your noodles as completely before you transfer them to the saucepan. These noodles are completely creamy and wonderful – and here’s the thing. . .if you’d like to turn this into a meal, add some cooked chicken to the dish and wallah – dinner IS served! 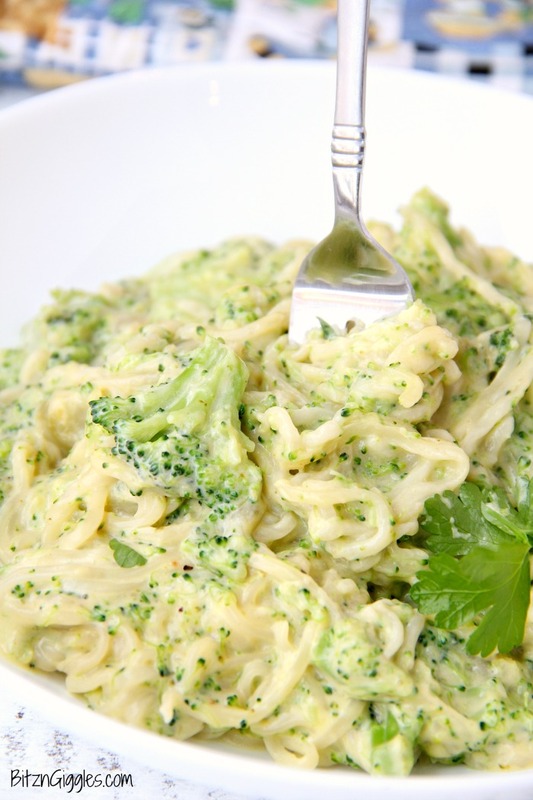 A delicious and creamy pasta side dish the whole family will love! 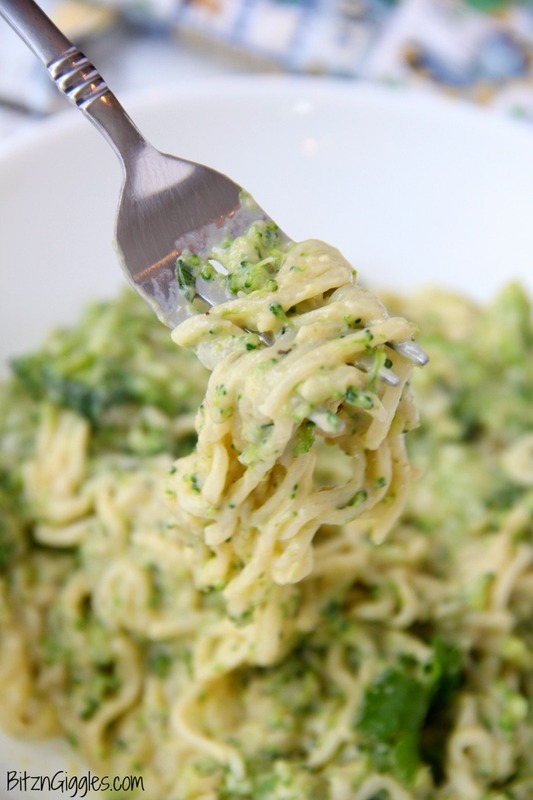 Add noodles and broccoli (DO NOT ADD SEASONING PACKETS FROM NOODLES). Return to boiling then reduce heat to low. Simmer covered for 3-5 minutes until broccoli is tender, stirring occasionally. Stir in ONE seasoning packet from the noodle soup (reserve the other packet for future use). Stir in cheddar broccoli soup, sour cream and pepper. 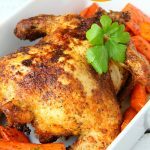 Add some cooked chicken to the dish to make it into a full meal! This is the perfect way to get my anti green veggie eaters to gobble them up! Looks delish! Thanks so much, Amy! 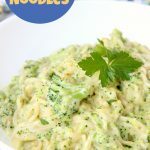 If your kiddos turn up their noses to green vegetables, try and really mash up the broccoli into the noodles rather than leaving any large chunks of broccoli in the dish. I hope your whole family enjoys this side!